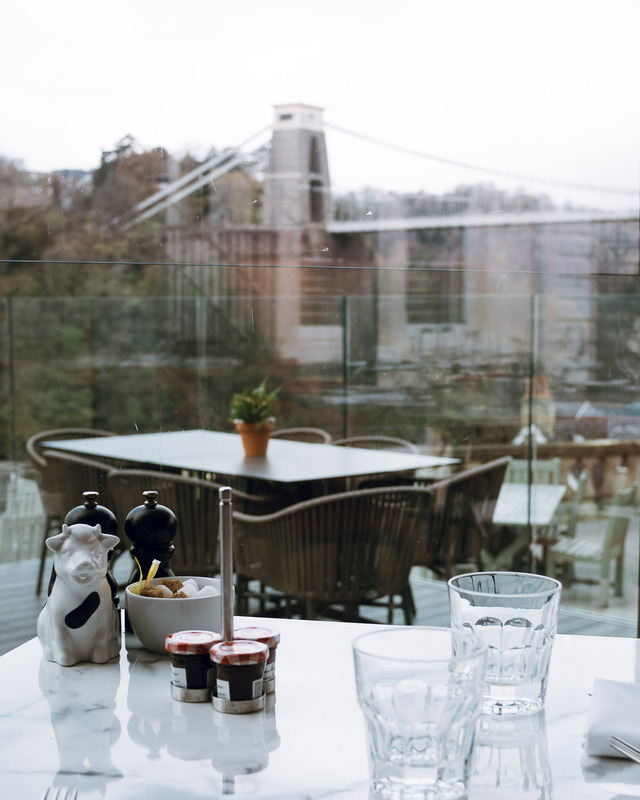 The Avon Gorge hotel in Clifton Village, is one of Bristol’s loved institutions, with it’s large terrace overlooking the famous Clifton Suspension Bridge, it’s a mecca for those who love to spend a lunch time taking in the views. I’ve been going there since I could drink, remembering vividly drinking bottles of beer with friends when I was 17! (naughty). Back then, the terrace was the place to go. But it soon became out of favour, dated with it’s decor and style set firmly back in the 80s, that was until now. 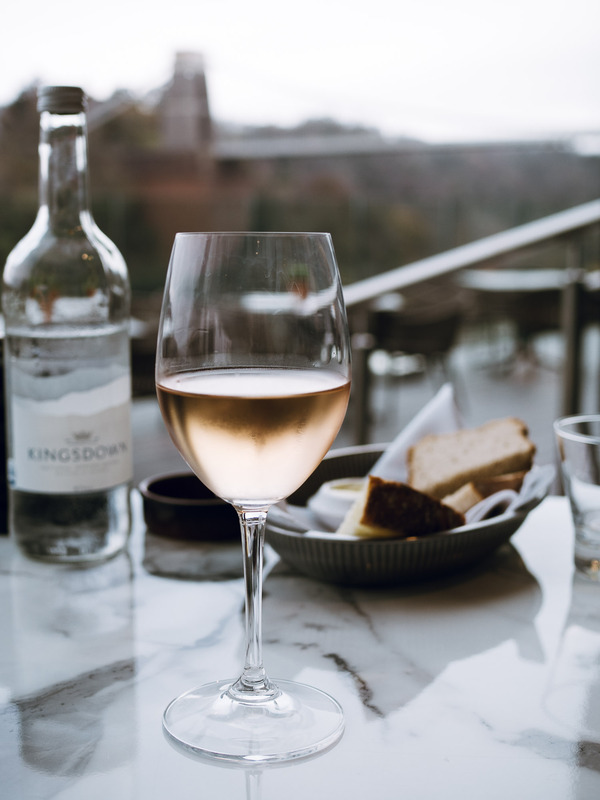 Recently taken over by the Hotel du Vin group, the hotel has undergone a £16million face lift, seeing the once faded grandeur of the hotel now very much up to date. Inside the decor is rich with velvet fabric and jewel toned furnishings. Wall colours are dark, with touches of gold. It’s beautiful. 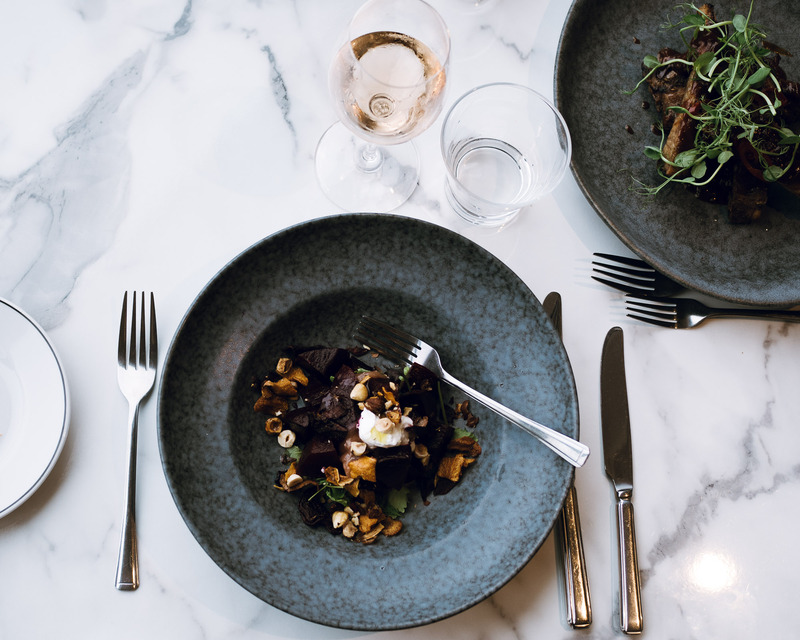 Dan and I were invited to lunch, to try out the menu in the new Goram & Vincent restaurant. 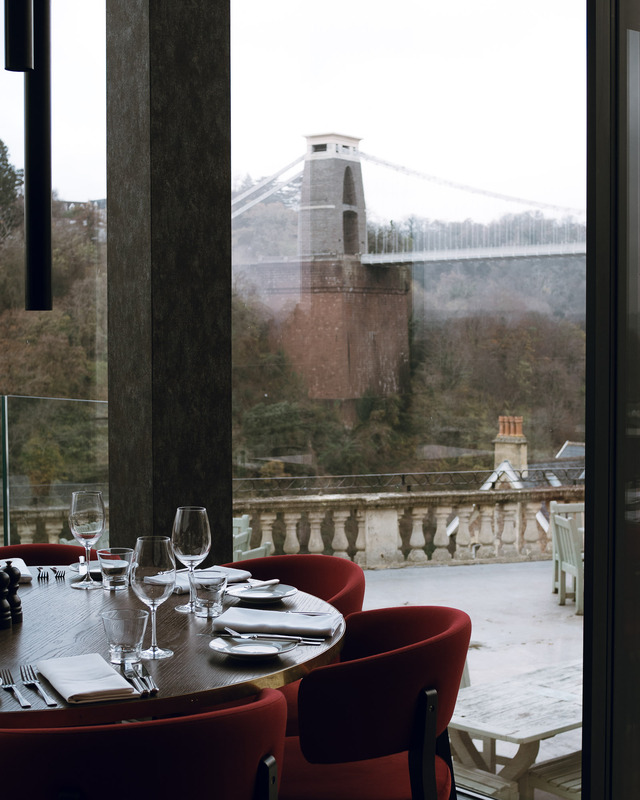 Our table was by the window with fabulous views out over the terrace to the bridge and the gorge below. 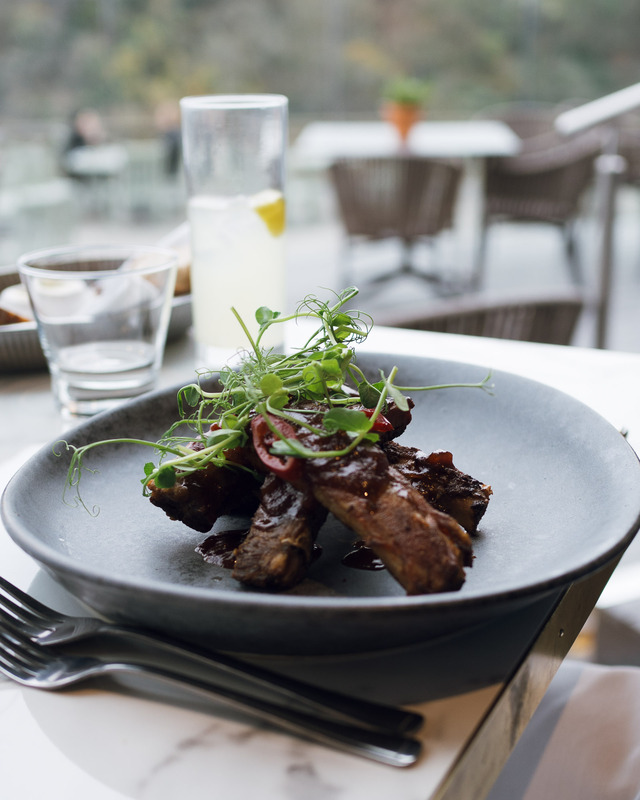 For starters, I chose the salt baked beets with hazelnuts and goats cheese, whilst Dan chose the saddleback pig ribs. Both arrived on beautiful dark grey plates and were utterly delicious. I was taken back to my trip to Sweden last year, similar food aesthetic, simple, cooked over coals, using great ingredients. 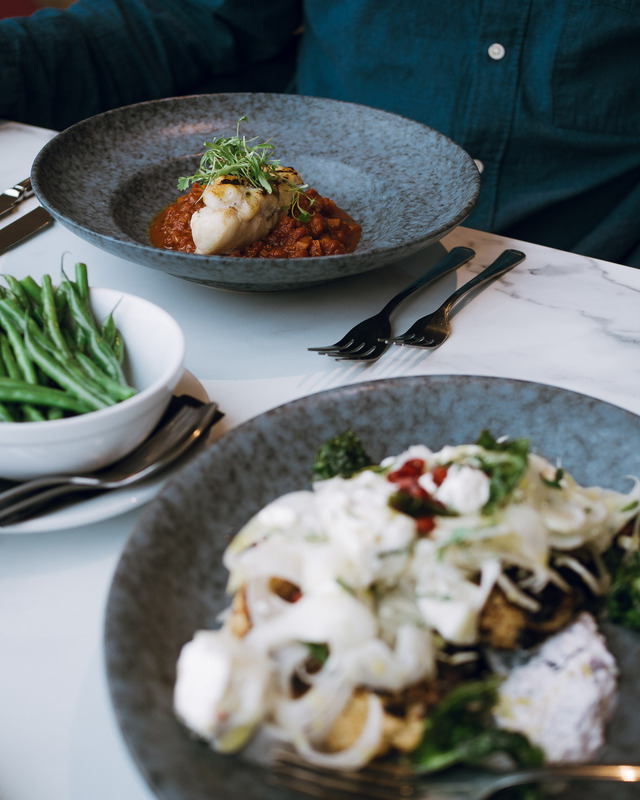 For mains, Dan chose pan fried monkfish with a tomato raggu and green beans, and I had the cauliflower steak with pickled fennel and chunks of fresh feta. My dish was huge, and I did struggle to finish it, which annoyed me as it was delicious! Perhaps I should not have porridge for breakfast next time. After lunch, we went to look around of the hotel rooms – the Lombard room – which is one of their junior suites. The suite was beautiful. 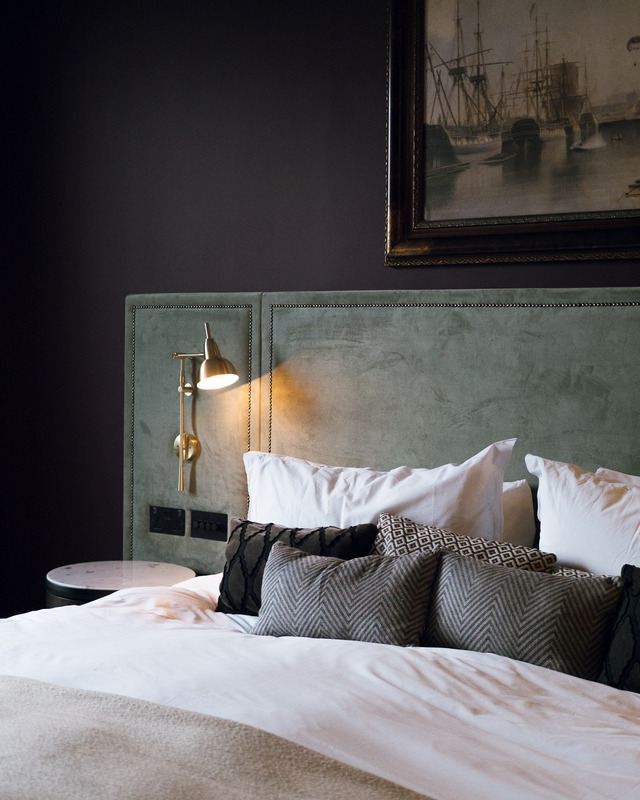 Deep aubergine coloured walls, with a mint green suede headboard. Touches of gold everywhere from the lights to the picture frames. There even was a roll top bath in the bedroom, which was perfectly angled so you could see the Suspension Bridge whilst lying there relaxing. I would highly recommend anyone coming for a weekend in Bristol, to stay here. 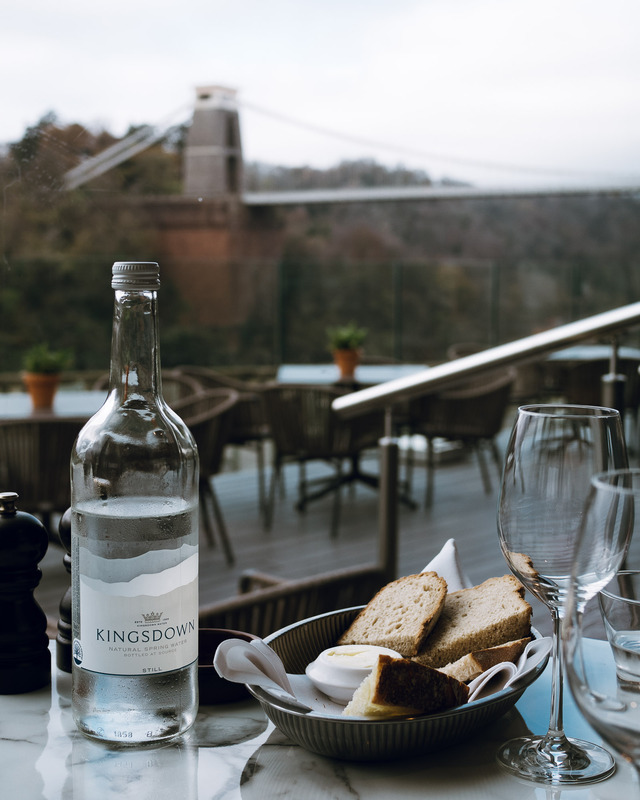 The hotel is located in a beautiful part of the city, with cool shops and cafe’s, as well as walks in the woods and of course that bridge and views over Avon Gorge! 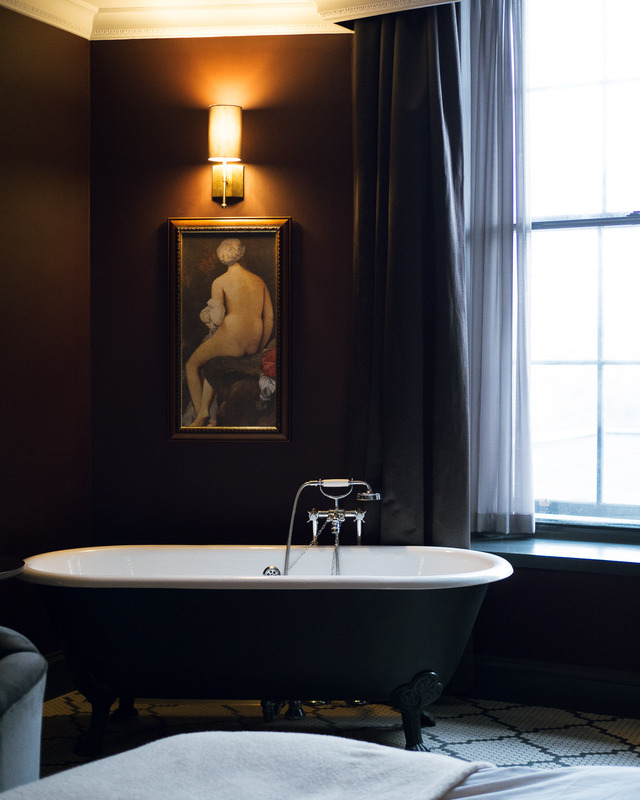 Collaboration Note: Thank you to Hotel du Vin for the invitation to lunch and the use of the hotel room for a photo shoot. All words, thoughts and images are my own. This is a press review – no money was exchanged. Thank you for supporting the collaborations that make this blog possible.